Star For Life held a successful launch at Folweni High School yesterday, the official partnership between Star For Life, Lööf Foundation and Folweni High School. Lööf Foundation’s desire is to help others grow and develop, it seeks to promote the care and education of children and young people, and also focus on environmental and social aid activities. Star For Life’s mission is to inspire young people to value learning and acquire the knowledge and skills they need for productive work, and live a healthy meaningful life. The day was brimming with smiles, as everybody got treated to singing and dancing from the learners and teachers, poetry, gumboot dancing and the Zulu way of proposing to a girl (Ukzoloza). There was a performance by triple and touch before everybody joined in to dance the phatha phatha. The day ended with the raising of the Star For Life and South African flag, to conclude the partnership between the school and Star For Life. Star For Life in partnership with Nelson Mandela Children’s Fund (NMCF), held a Stakeholders’ Meeting, aimed at Strengthening the Youth and Children’s Programme in the UMkhanyakude District. KZN 1 hosted the event, and it was massively supported by all departments within Star For Life and external stakeholders, such as the NMCF, Municipalities; Department of Education; Department of Health; Department of Social Development and the Liquor Board. Mr Mduduzi Mahlinza , Mayoral and Communications Manager at the Mtubatuba Municipality said these meetings are a great initiative, “we get to equally understand other stakeholders, cross learn and exchange information. This was a follow up intervention meeting after the 2014 Youth Dialogue, where issues and challenges were raised by learners across the District. Star For Life high school learners showcased their talent at the 3rd SFL Arts Festival in Durban. As September is celebrated as the heritage month in South Africa, we have seen a number of arts and cultural events happening all over the country. 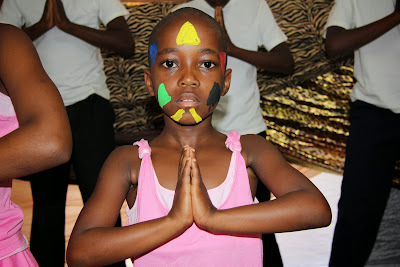 Friday, the 15th of September was a show of colourful and vibrant performances by the young aspiring artists from all of Star For Life partnered schools in Durban, at the 3rd Star For Life Arts Festival held at uMlazi Cinema. 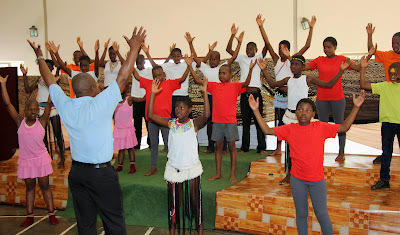 The festival was opened by an entertaining traditional dance by Umbelebele High School learners, this group brought the hall down so much that learners from other schools who were also performing at the festival were ululating and screaming. The representative from the KZN Department of Arts and Culture, Dr Rage Govender said he has attended all Star For Life Arts Festivals in previous years which were held in Umkhanyakude and he is happy that Star For Life is also spreading to other KwaZulu Natal regions, such as Durban. 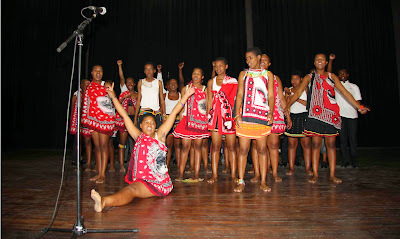 Shumayela High School learners performing at the SFL Arts Festival 2014. Mafumbuka, Mbelebele, Vikingozi, Vukuzakhe, Masakhaneni, Umkhumbi, Zuzumqhele and Shumayela were the eight high schools, which contributed to this festival. Each of these schools performed in the categories of drama, music, dance and visual arts. Learners used these performances to tell stories of their heritage. The arts educator from Zuzumqhele High School, also praised Star For Life; “All learners have strengths but not all of them are gifted academically, these kinds of events are a great platform for those creative and artistic learners.” Said Mrs. Khoza. Young and vibrant voices echoed through Hluhluwe Rugby Club on Friday the 5th of September as learners from Star For Life Partnered Primary Schools showcased their talent at the 2nd Star For Life Primary School’s Arts Festival. Learners from all four school's on stage during the mass dance performance. Phumlani Primary School, Macabuzela, Nompondo and Ntuthukoyamazulu are the four primary schools which contributed to this festival. Each of these four schools perfomed in the categories of drama, music, dance and visual arts. Learners used these performances to tell stories of their heritage. As the month of September is ‘Heritage Month’ in South Africa, the organizers of the event said this year’s event focused more on encouraging learners to be proud of their heritage. Among this year’s performances audiences got the chance to see a play by Ntuthukoyamazulu Primary School, which aimed not only to teach traffic safety to learners who are pedestrians but also to send a message to the drivers as well; “drivers need to be mindful of school zones and always be cautious of young pedestrians crossing the roads,” said Sifundo Ndlela who was one of the main characters of the play. The Star For Life Primary School’s Coach and one of the organizers of the event, Mr. Dumisani Ngubane described the event as a good platform for learners to showcase their talent as well as to use art to express their views and raise awareness. “This festival is growing from strength to strength, this year performances were not only entertaining but they were also very educational. All the plays performed here were written and produced by learners themselves with the help of their teachers,” said Ngubane. The Principal of Macabuzela Primary School Mr.V Nsimbi praised the hard work of the teachers, who dedicated their spare time to help learners with rehearsals. 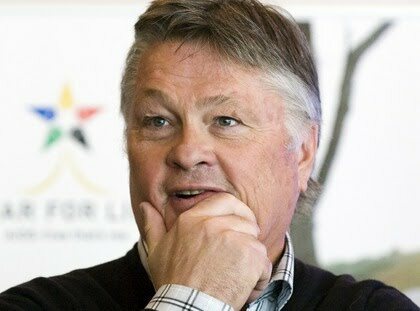 “Thank you to Star For Life for including primary schools in their programme,” said Mr. Nsimbi. The Star For Life Primary School’s is currently partnered with four schools, with an aim to include four more schools next year.